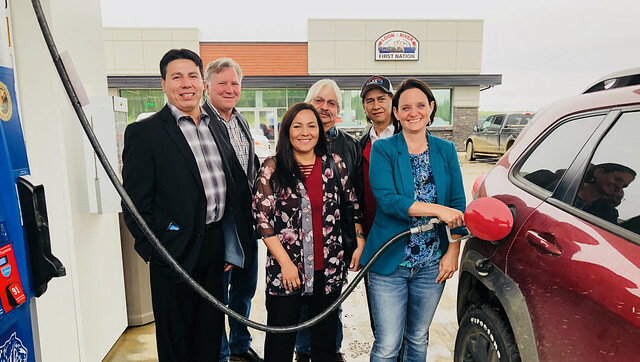 Loon River First Nation has used an Alberta government grant to help construct a full-service truck stop, creating jobs and helping build the community’s economic future. Minister Feehan tours new truck stop with members of Loon River First Nation, Grand Chief of Treaty 8, and MLA Larivee. The facility includes an Esso-branded fuel station, convenience store and fast food kiosks, offering travellers and residents convenient access to gas, food and beverages. The project has created 29 new permanent, full-time jobs and supported training and skill development within the Nation. It will also increase economic opportunities for the community and the region through ongoing sales revenue and by attracting other businesses to the area. The $700,000 grant was provided through the Aboriginal Business Investment Fund, which provides funding to eligible Indigenous community-owned businesses and organizations to support economic development and improve social outcomes for Indigenous peoples in Alberta.